The Pioneer Fire in central Idaho produced another pyroCumulonimbus (pyroCb) cloud on 21 August 2016 (the first was on 19 August). GOES-14 was in SRSO-R mode, and sampled the fire with 1-minute imagery (above; also available as a large 73 Mbyte animated GIF) — a large smoke plume was evident on 0.63 µm Visible images as it moved eastward; large fire hot spots (red pixels) were seen on 3.9 µm Shortwave Infrared images; on 10.7 µm Infrared Window images, the cloud-top IR brightness temperature cooled to -35º C (darker green enhancement) between 2249-2307 UTC as it moved over Stanley Ranger Station (KSNY), not quite reaching the -40º C threshold to be classified as a pyroCb. However, a 1-km resolution NOAA-19 AVHRR 10.8 µm Infrared Window image (below; courtesy of René Servranckx) revealed a minimum cloud-top IR brightness temperature of -48.3º C (dark green color enhancement). A larger-scale comparison of the NOAA-19 AVHRR visible, shortwave infrared and infrared window images is shown below. The Pioneer Fire continued to be very active on 22 August (exceeding 100,000 acres in total burn coverage since its start on 18 July), sending a large amount of smoke northeastward (OMPS Aerosol Index). During the following overnight hours, cold air drainage and the development of a boundary layer temperature inversion acted to trap a good deal of smoke in the Payette River valley to the west/southwest of Stanley KSNT. 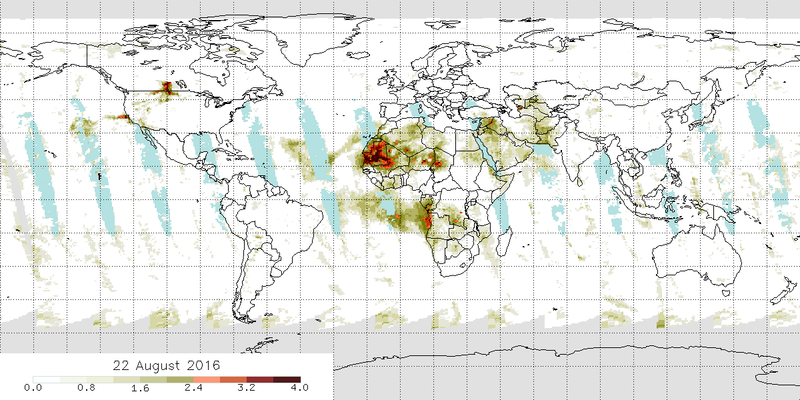 The active fire hot spots (black to yellow to red pixels) were evident on nighttime (1032 UTC or 4:32 AM local time) images (above) of Suomi NPP VIIRS Shortwave Infrared (3.74 µm) data, while illumination from the Moon (in the Waning Gibbous phase, at 69% of Full) showed the ribbon of smoke trapped in the valley (note that this signal was not due to fog, since it did not show up in the VIIRS 11.45-3.74 µm brightness temperature difference or “fog/stratus product”). 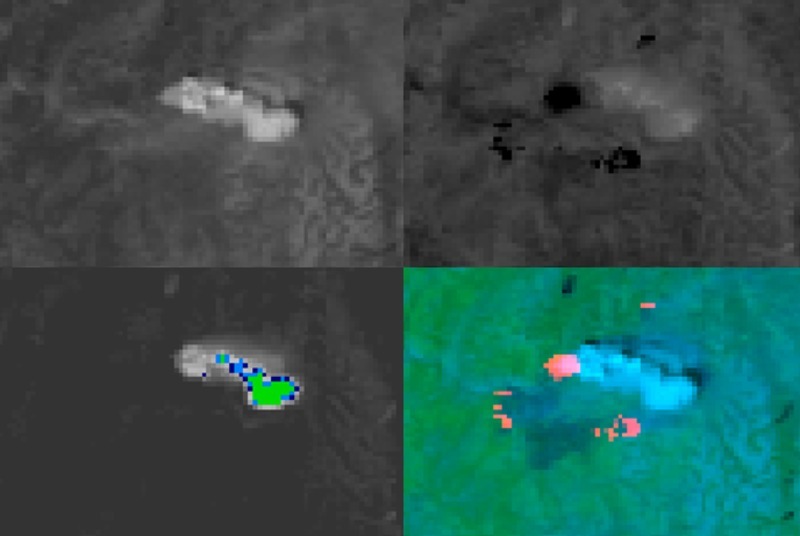 During the subsequent daytime hours of 23 August, 1-minute GOES-14 Visible (0.63 µm) images (below; also available as a large 114 Mbyte animated GIF) showed the gradual ventilation of smoke from the Payette River valley as the temperature inversion eroded and mixing via winds increased.